OysterCafe.com 은 흥미로운 인풋과 콘텐츠와 함께라면 쉽게 언어를 습득할 수 있다는 믿음 아래 새로운 온라인 영어교육을 지향하는 사이트입니다. 오이스터카페는 랭귀지 코스이자 소셜네트워킹 사이트로서, 즐겁고 편안한 분위기에서 학생들의 영어 학습을 도울 수 있도록 만들어졌습니다. 진심으로 영어를 배우고자 하고, 커리어 전망과 삶의 질을 향상시키고자 하시는 분들을, 오이스터카페가 기다리고 있습니다. 조금 더 재미있는 방식으로, 사람들과 어울리면서 영어를 학습하고 싶으신 분들께 적합합니다. 오이스터카페 강의 대부분은 한국에서 강사 경력이 있는 원어민과 한국인 강사가 함께 참여하는 방식으로 구성되어 있습니다. 강의의 수준이 높아질수록 한국인 강사보다는 원어민 강사의 비중이 더 커지게 됩니다. 오이스터카페는 어떤 수준의 학생들에게 적합한가요? 오이스터카페는 모든 수준의 학생들이 학습할 수 있도록 시스템을 구성했습니다. 비즈니스, 여행, 학교를 위한 강의 및 개인적인 만족을 위한 다양한 종류의 강의가 있습니다. 원하는 시간에 원하는 강의를 선택해서 학습하실 수 있어 더욱 편리합니다. 또 어디서 오이스터카페의 강의를 볼 수 있죠? 아이튠즈와 유투브, 오이스터카페의 페이스북과 트위터 페이지에서 확인하실 수 있습니다. 저는 원어민처럼 말하고 싶은데, 이 사이트가 정말 도움이 될까요? 오이스터카페의 강의는 실생활 대화와 입증된 학습 방식을 토대로 제작되었습니다. 어색하지 않고 자연스러운 생생한 영어를 그대로 배우실 수 있습니다. 오이스터카페의 스크립트 작가들과 강사들 그리고 프리젠터들은 전부 젊고 활달한 프로페셔널으로, 더욱 효과적인 방식으로 여러분이 영어를 습득할 수 있게 도울 것입니다. 또한, 영어실력 향상을 위해서는 매일 빠짐없이 공부하는 것이 중요합니다. 오이스터카페팀은 회원분들이 매일 조금씩 일정량을 습득하실 수 있는 방법을 소개해드리고 있습니다. 무료 강의를 들어보고 결정하세요. 회원분들에게 언제나 새로운 콘텐츠를 제공하기 위해 정기적으로 강의를 업데이트하고 있습니다. 매주 제공되는 퀴즈부터, 매달 강의 업데이트까지, 오이스터카페는 쉬지 않습니다. 오이스터카페에서는 다양한 학생들을 위해 다양한 패키지를 제공하고 있습니다. 홈페이지 상단의 회원혜택 > 강의 신청 메뉴에서 자세한 내용을 확인할 수 있습니다. 어떤 기술적 도움을 받을 수 있죠? 다른 사람들에게 사이트를 추천하면 할인 받을 수 있나요? 네. 사이트 아래의 제휴 버튼을 클릭하셔서 자세한 사항을 참고해주세요. 네. 오이스터카페의 ‘평생 무료’ 멤버십으로 가입하셔서 더 많은 샘플 강의를 확인하실 수 있습니다. OysterCafe.com is the revolutionary new way to learn English online, based on the principal that learning a language is easier when you have content that you can understand and input that is interesting. OysterCafe.com is part language course, part social networking site, giving users the resources and support they need to improve their English in a fun and friendly environment. Why should I use OysterCafe? You should use OysterCafe if you are serious about learning English and want to improve your career prospects or enhance your quality of life. You should also use OysterCafe if you think study should be enjoyable and if you love socializing and meeting new people. Yes! (And they have experience teaching in Korea.) At OysterCafe we use both native English teachers and native Korean teachers in most of our lessons. 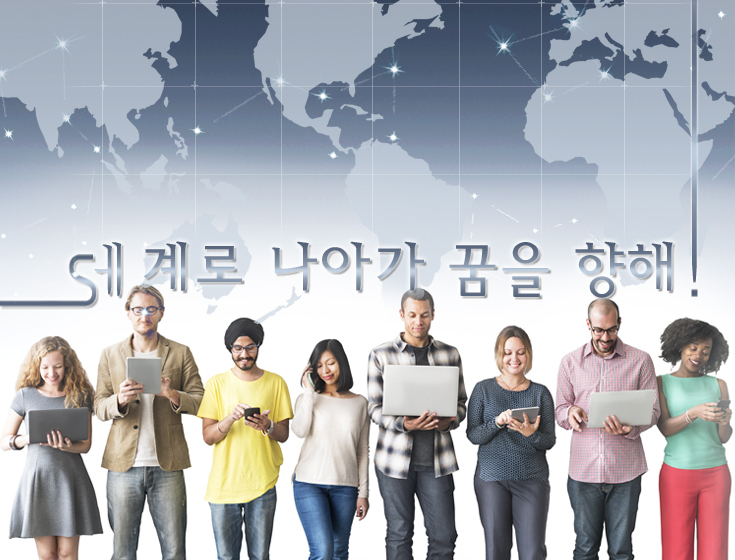 As you progress through certain lessons and levels you will hear more of the native English teacher and less of the Korean teacher, but they will both be present to help you master English. Does your site cater to all levels of student? Yes! OysterCafe has developed a system that ensures that students at any level can learn from our lessons. Our lessons will help you to improve your English for business, travel, school, or just for personal satisfaction. And the best thing is you can choose to study at a time that suits you. Where else can I find your lessons? You can find us on iTunes and YouTube, but also check us out on Facebook and Twitter for more cool stuff. I would like to be able to speak English like a native English speaker can your website help? Yes! Our lessons are based on natural dialog and proven study methods. This means that you will learn English the way it is actually spoken. We know that many other websites claim to offer this 'natural dialog' method of teaching as well, and maybe they do, but our script writers, teachers, and presenters, are all young funky professionals who were chosen for their people skills and ability to engage with our audience. Secondly, because we know that in order to improve your English you need to be subjected to it every day, we developed a method of study that ensures that you want to come back to study with us day in and day out. But don't take our word for it; check out our free lessons to see exactly how engaging they are. We update our site on a regular basis to ensure there is always something new happening for our students. From our updated weekly English compression/knowledge quiz, to our monthly lesson updates, you can rest assured that our site will never be out of date. At OysterCafe.com we have a range of different price plans that are suited to different students – just click on "Options" under the "Membership" menu for the finer details. Students can purchase packages that last for as little as one month up to a whole year. No, but we have a free membership. All you need to do is sign up for our ‘Free for Life’ membership and sample most of what is on offer at OysterCafe.com. Simply click the "Free for Life" link from our homepage.